In addition to having fun in The Villages, residents also know it is important to be healthy. Fortunately, the Villages offers numerous healthcare options from fitness centers and exercise classes to medical facilities including The Villages Regional Hospital, a VA outpatient clinic, Florida Cancer Specialists & Research Institute and a long term critical care facility. Hang around for ten minutes with any group of residents in The Villages and the topic of conversation gets around to doctors, medicine, illnesses, and treatment. That just comes with being over 55 years of age. Whenever one of these conversations come up, a doctor will be mentioned by name. Somebody in the group will love him or her and another will have a horror story. This scenario isn’t peculiar to The Villages. It happens everywhere. So, the question is, “Just how good is the medical care in and around The Villages?” Something very important to consider is that where you live now, you have probably been for many years. You know your primary care physician very well. He or she knows you just as well. Chances are you are on a similar footing with many of your specialists. When you make the decision to move to The Villages, or anywhere else away from where you are now, you’re faced with not only finding the right doctor, but also establishing a personal relationship with that individual. Understand, first and foremost, there are tons of qualified doctors of every discipline in and around The Villages or within 30 miles. A state-of-the-art medical center is inside The Villages. Two other hospitals are within a half hour drive. There are a couple of rubs. Finding the primary care physician that you will ultimately stay with can be a bit of a challenge. After all, how do you know which one to choose? Word of mouth is a good way, but some doctors aren’t accepting new patients, and some don’t accept Medicare. In any event, it is important that you try to find a primary care doctor well before you move to The Villages, even if it’s not the one you will stay with over the long term. The reason for this is that in some cases, it takes weeks or months to schedule an initial appointment. You want to be ready in the event sudden illness arises. So, ask around here on Talk of The Villages and somebody will make a recommendation of a doctor you should call. Or, you can look in The Villages yellow pages or online. There is another phenomenon I have seen. When you were younger, your doctor was likely young, too. He or she knew both husband and wife, children and other relatives. They looked at you, in some cases, like friends or family members. You saw them at restaurants and social gatherings. You may not have been personal friends, but friends, none the less. They grew old with you, knowing what you needed or how to treat you personally. Here in The Villages, you walk into your doctor ’s office for the first time and you are viewed as a geriatric patient, a person who is in the final chapter of life. You are also seen as a wealth of opportunity for costly tests. Most of the tests are probably well-intended, but there is never a second of hesitation before sending an individual for at CAT scan, MRI, X-ray exam, blood test or colonoscopy. After all, they reason, your insurance is going to pay for it. In my case, for example, my “highly qualified” urologist requires a urinalysis from every single patient every single time that patients comes for a visit, regardless of the purpose of the visit. I have objected, but have been told that is “office policy.” In another example, my primary care physician would not order a blood test or review test results over the phone. I had to make an appointment with him in order to get a blood test order and another appointment for him to review the results. Because of this policy, I changed doctors. It is my understanding that not all doctors follow that same procedure. Chances are you will never see doctors in a social setting because they are not Villages’ residents and they would not have an occasion to be where you are. There is little chance to develop a personal relationship in the six or seven minutes you are allotted for your office visit. 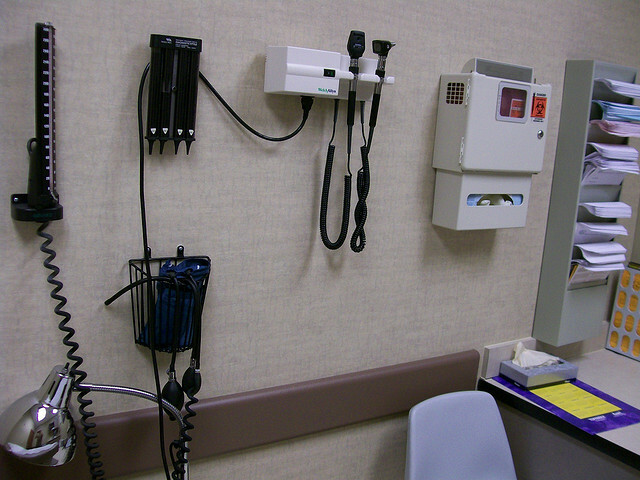 There are more and more “walk in” urgent care clinics popping up around The Villages. With 90,000-plus residents, doctors are finding an endless supply of patients. It is important to note, too, that not all doctors chose to be “on staff” at the local hospitals. They see you only in their offices. These doctors rely on a new breed of physicians called, “hospitalists” whose practice is limited to patients in hospitals. They visit you in the hospital in the name of your doctors. This practice has good and bad sides. You decide. The Villages is one hour from Shands at the University of Florida in Gainesville. It enjoys an outstanding national reputation for the work done there. Our experience is that the reputation is well deserved. The hospital says it “is a private, not-for-profit hospital that specializes in tertiary care for critically ill patients. 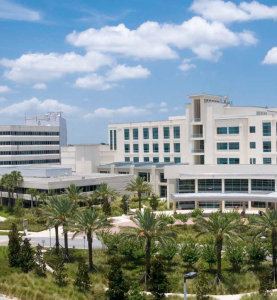 Shands at UF is one of the most comprehensive hospitals and one of the leading referral medical centers in the Southeast. It continually receives recognition as one of the best hospitals in the nation by U.S. News and World Report because of its dedication to patient care, education and research.” Earlier I mentioned a robust supply of extremely competent specialists around The Villages. Regardless of your need, a specialist is within a half hour drive and in some cases inside The Villages proper. Experience indicates that many times you develop a closer relationship with your specialist than you do with your primary care physician. There are numerous diagnostic facilities and blood testing labs within easy access of The Villages. Physical therapy is as close as the Sharon Morse Medical Center and Vascular Institute adjacent to The Villages Regional Medical Center. One must conclude that all the health care required is found in and around The Villages. The trick is be patient (ahem) and find the one that suits you best. They are out there. You will find them. If you want to see what others are saying or want to get decent advice, CLICK HERE. There are also other general medical listings that you can look into as well Right Here. Enjoy!